This yummy recipe is courtesy of the Slow Cooker Bible (I got it for like $5 somewhere, it’s been great!). This recipe was delightful (though, I have to admit, not as good as the Korean steak I’ve made in the past). -Stir together beef broth, soy sauce, sherry, honey, ginger, and garlic in the slow cooker. 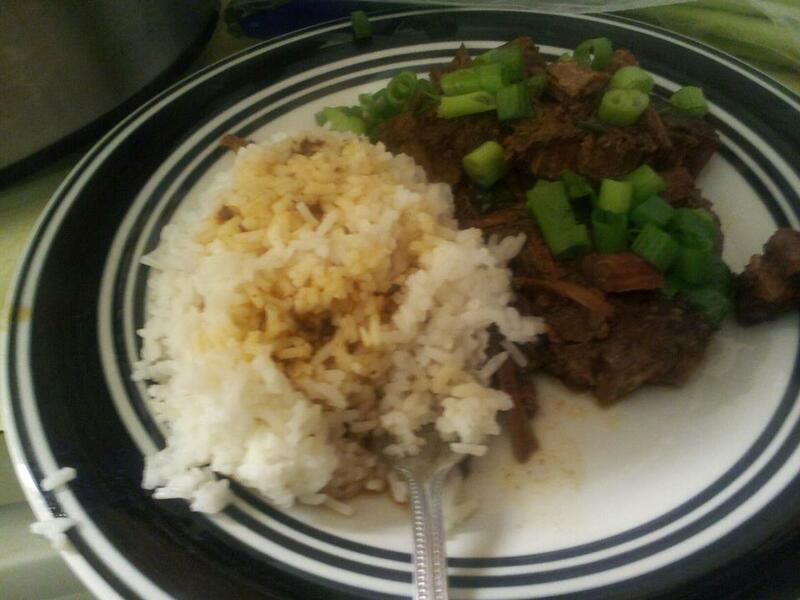 -Season beef with salt and pepper, then place in the slow cooker and turn several times to coat all sides with liquid. -Cover and cook on low for 7-8hrs, or until meat is fork-tender. -Remove beef and place on serving dish. Garnish with green onions, if desired. Serve with rice.